Emmanuel Lassaigne. Photo courtesy of Champagne Jacques Lassaigne. Origin stories matter. The power of narrative helps us shape and understand our often messy world. Wine has plenty of these tales, from Dom Pérignon’s accidental discovery of sparkling wine to Robert Parker’s rise to fame with his contrarian enthusiasm for 1982 Bordeaux. But these stories are problematic in various ways. The Pérignon story is fiction; the Parker tale is only partly true. More recently, a new origin story has taken hold, that of grower Champagne’s rise in the U.S. market. Like the others, it misses important context and nuance in the pursuit of a tidy narrative. But if you dig deeper, a more complete picture comes into view—one that helps us understand the trajectory of the grower Champagne movement from its early days until its tipping point, when it entered the public consciousness. The simple version of the story always begins with Terry Theise. In 1996, on a trip to Champagne to stock his personal cellar with bubbles, Theise learned that small producers were making wines that were as unique and reflective of place as any wine from Burgundy or the Mosel. Already a passionate and persuasive evangelist for great wine from Germany and Austria, Theise was soon importing Champagne and extolling the value and virtue of grower bubbles at every opportunity. “You should drink ‘farmer fizz’ if you’d rather buy Champagne from a farmer than a factory” became his call to arms, repeated annually in his popular catalogue. Theise praised grower Champagne with an enthusiasm that made many American buyers sit up and take notice. Theise deserves credit for popularizing the growers—or récoltants manipulants, designated by “RM” on labels—whose own vineyards are the source for their Champagnes. He is responsible for persuading a generation of wine buyers to scoff at the big-brand Grandes Marques, or négociants manipulants, for churning out studiously consistent offerings each year. The rest was history, according to the simple version. However, more was happening on the sidelines, before and after Theise’s revelation. In the early 1980s, for example, Kermit Lynch—the California-based importer, distributor, and retailer—introduced to the U.S. market Champagne J. Lassalle and Champagne Paul Bara, two family-owned estates on the Montagne de Reims. And no one, including Theise, could have predicted how quickly serious enophiles would look beyond the RM designation and instead seek out single-vintage, single-vineyard, single-variety wines from producers who had embraced the ethos of natural wine. This is that origin story. And it’s messier. The U.S. economy was speeding toward a cliff in 2008, but few knew it. Over the previous six years, easy credit fueled consumer spending and real estate development around the world. Auction markets exploded, with wine sales at houses like Sotheby’s, Christie’s, and Acker Merrall & Condit seeming to hit new records each week. New York City’s financiers, especially, enjoyed a new gilded age. Restaurants like Cru, Veritas, and Montrachet developed extraordinarily deep wine cellars that catered to the newly wealthy. Irrational exuberance abounded in the “high-testosterone world of competitive oenophilia,” where millions of dollars would regularly change hands in a single night of bidding. Champagne consumption soared. Worldwide, the region sold a record 339 million bottles in 2007. Only a fraction of these wines came from growers, but it was growers who captured the attention of America’s savviest buyers and tastemakers. Both columns recommended about a half dozen wines from Theise’s portfolio, like Vilmart & Cie, Egly-Ouriet, Jean Milan, and René Geoffroy. Writers like Alder Yarrow, Tyler Colman, and Jon Bonné also urged people to explore grower Champagne, as did merchants like Astor Wines & Spirits and Crush Wines & Spirits in New York City, and K&L Wine Merchants at its various shops in the Bay Area and Los Angeles. Hints that Champagne could offer other interesting wines were emerging. In 2008, Peter Liem wrote about the “growing number of single-vineyard Champagnes” in the San Francisco Chronicle. But few took notice. In the mid-aughts, most sommeliers addressed rising demand for grower bubbles by populating their lists with selections from the Theise portfolio. Wines like Pierre Péters’s Cuvée de Réserve and Pierre Gimonnet’s Cuis 1er Cru became perennial favorites. And then the real estate market collapsed, taking the economy with it. Hundreds of U.S. banks failed, spreading volatility across the globe. Champagne sales plunged by nearly 50 million bottles in 2009, to 293 million bottles. In the United States alone, Champagne sales dropped by about 40 percent. A recovery took root in 2010, but by then buying habits had changed. Populist sentiments raged against big corporations as consumers—especially younger ones—rushed to embrace more trustworthy alternatives. Farm-to-table restaurants replaced chain eateries. Big liquor and beer brands started losing out to small-batch spirits and craft brews. Against this backdrop, influential wine enthusiasts became passionate ambassadors for more natural wines, turning away from big houses and toward small, family-owned producers who farmed organically and kept things simple in their cellars. In trendy wine bars, hip restaurants, and fashionable wine shops, sommeliers and retail buyers gravitated toward wines from the Loire and the Jura, trumpeted unusual grapes from unusual places, and championed low-intervention bottles from traditional regions like Burgundy and Piedmont. This trend brought even more attention to Champagne’s growers, particularly the younger ones who farmed organically and biodynamically and intervened minimally in the cellar. A small but influential group of tastemakers shared their discoveries on blogs and through social media channels like Facebook, Twitter, and the nascent Instagram. A number of these discoveries—notably, Cédric Bouchard, Jacques Lassaigne, Marie Courtin, and Jérôme Prévost—were available in the United States, thanks to Thomas Calder, an American wine broker living in Paris. Bouchard had become enchanted by natural wine while working as a wine retailer in Paris in the 1990s, and he grew to believe that great wines are always singular: single varieties harvested in single years from single vineyards. So when he started the decade-plus process of taking over his father’s estate in 2000, he knew he would farm organically, limit manipulation in the cellar, and create single-expression wines. In short order, Calder added the wines of Emmanuel Lassaigne to his book. 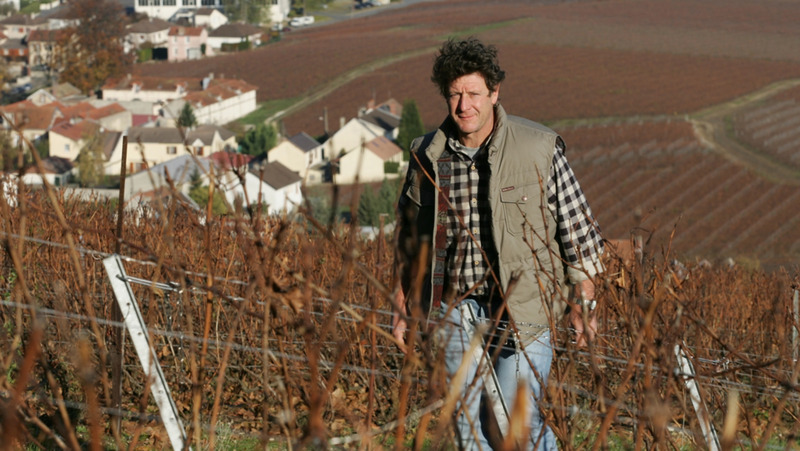 Lassaigne took over his father Jacques’s estate in the Aube in 1999 and quickly worked to invigorate the vineyard by eliminating the use synthetic fertilizers, herbicides, pesticides, and insecticides. Fascinated by his land’s terroir, he began vinifying fruit from each parcel separately. The Champagnes from both producers were unusual, to be sure—they were best understood as wine that just happened to have bubbles. And the prices of Bouchard’s wines, especially, were high. Calder wasn’t sure he’d be able to find buyers. Anselme Selosse. Photo courtesy of Doug Polaner. The first shipment of Calder’s Champagnes, comprising offerings from Bouchard and Lassaigne, were ordered by Potomac Selections in 2005. Minuscule quantities from another unique grower were available in D.C. around that same time—Anselme Selosse of Domaine Jacques Selosse. Although raised in Champagne, Selosse developed his winemaking philosophy in Burgundy, where he was inspired by the legendary vignerons at the domaines of Coche-Dury, Leflaive, and Comtes Lafon. Working in Burgundy instilled in Selosse a deep appreciation for the myriad ways in which wines reflect the land from which they come. 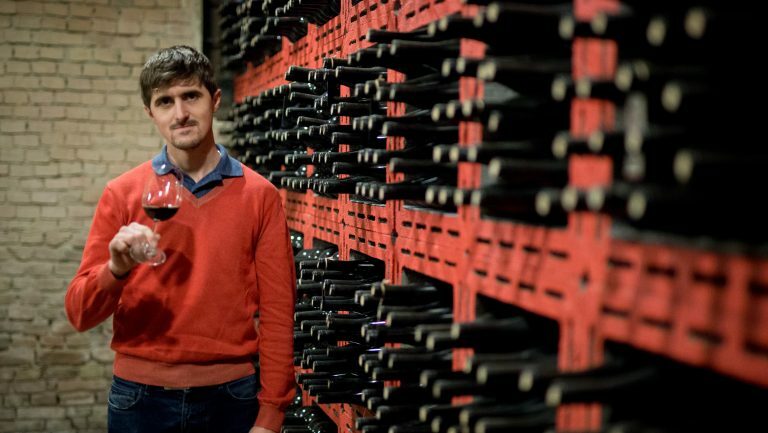 Selosse began working at his father’s estate in Avize in 1974 and took full control a few years later. He quickly turned away from Champagne’s norms. 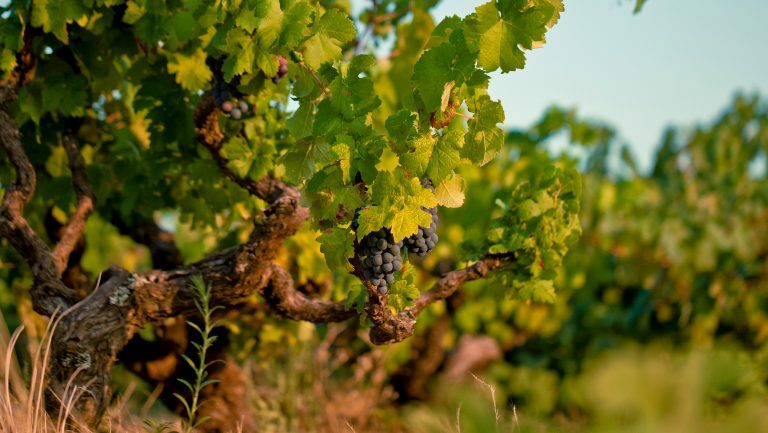 In the vineyard, he farmed organically and dramatically limited yields. In the cellar, he relied on indigenous yeasts to start fermentation and worked to avoid sulfur and other additives that might compromise the quality of his grapes. These approaches were common in Burgundy but radical in Champagne. In the early 1990s these wines came to the United States through Robert Kacher, a D.C.-based importer whose eponymous company brought in a host of now-iconic producers, like Michel and Stéphane Ogier of Domaine M&S Ogier, Jean-Paul and Jean-Luc Jamet of Domaine Jamet, and Albert Morot. Few Americans cared, though, about Selosse’s wines—they were just too unusual. With Champagne, consistency was still king, so consumers were perplexed by the Selosse offerings. In 2005, Selosse stopped exporting wines to the United States. He’d barely had any success in the market—and had finally found an audience for the wines in Europe. Selling to Americans no longer seemed worth the effort. As New York City started to dig out of the Great Recession, its wine buyers began to look for the grower Champagnes that the global wine cognoscenti were rallying behind. Doug Polaner stood ready to fill their orders. A wine importer and distributor, Polaner spent much of the 1990s with Michael Skurnik Wines, which imported the Terry Theise portfolio. Polaner left the company in 1999 to launch his own firm and quickly built one of the nation’s strongest portfolios. The first Champagnes in his book came from Gatinois and Pierre Moncuit, followed shortly thereafter by Pascal Agrapart. In 2006 he started distributing the wines of Larmandier-Bernier, which were brought into the United States at that time by Louis/Dressner. Once Polaner tasted the wines of Cédric Bouchard, though, he realized that a new story was unfolding in Champagne. Cédric Bouchard. Photo by David McCarus. In 2007, nearly two years after Doug Rosen brought Bouchard’s wines to Virginia, Doug Polaner brought them to New York City. 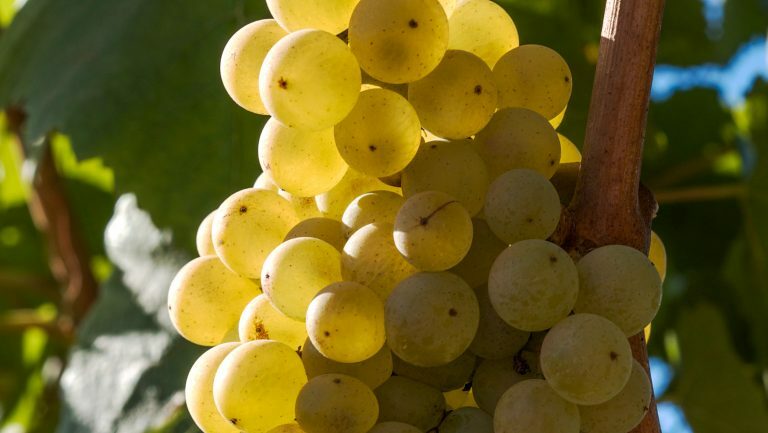 That same year, Polaner partnered with the Rare Wine Company, with which he had worked since 1999, to offer the wines of Selosse, who was persuaded to give the U.S. market another whirl. Polaner realized that the wines of Agrapart and Larmandier-Bernier, already in his portfolio, were created with the same ethos as those of Bouchard and Selosse. 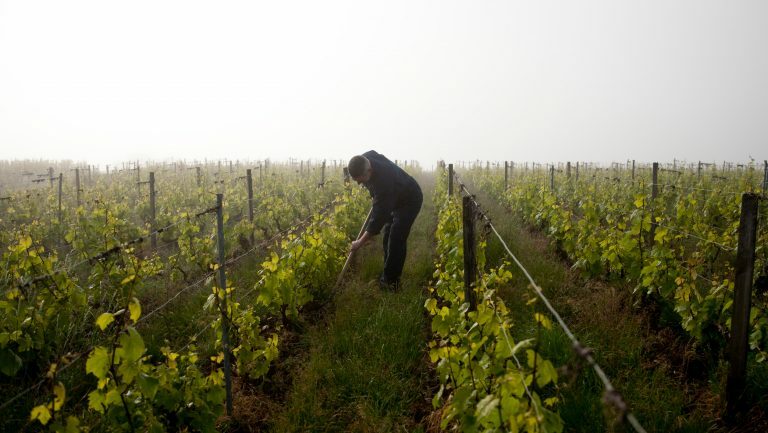 When Pierre Larmandier took over his family’s Côte des Blancs estate in 1988, he had worked quickly to improve his soils, ceasing the use of all synthetic chemicals. He also began focusing on terroir, even creating a single-vineyard cuvée—Vieille Vigne du Levant—in his first harvest. In short order, Polaner started bringing in wines from several more producers who shared this philosophy, like Jérôme Prévost of La Closerie, Dominique Moreau of Marie Courtin, Christophe Mignon, and Benoît Déhu. Other importers who focused on more natural wines, notably Jenny & François, Louis/Dressner, V.O.S. Selections, and Transatlantic Bubbles, discovered new Champagne producers for their own books. Sophie Barrett, who joined Chambers Street Wines in 2009, remembers learning about these producers, and evangelizing for them, just as the market started to take interest. “It was a time when people were getting concerned about what they were putting in their bodies,” Barrett recalls, “so talking about farming practices made an impact. Choosing between the big brands and our selections meant choosing between chemicals and something more natural.” When customers came to Chambers Street looking for Veuve Clicquot, Barrett was generally able to send them home with a bottle from Chartogne-Taillet. 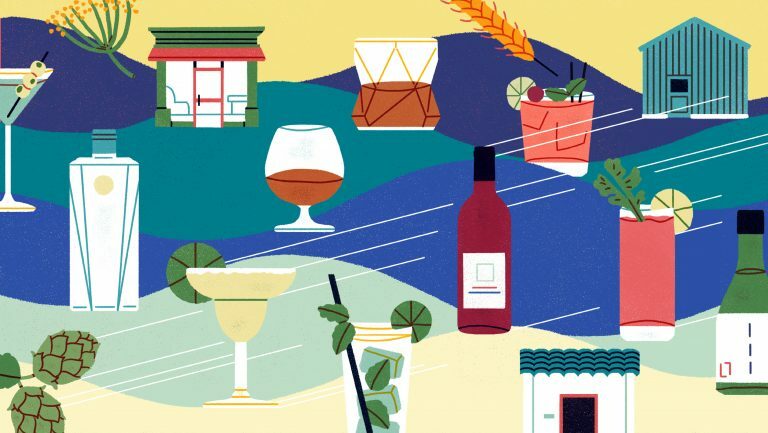 As Chambers Street and other New York City retailers began promoting these new-wave producers, so did New York City’s leading sommeliers. Growers like Bouchard, Agrapart, and Prévost became staples on many top wine lists. Deeper lists included offerings from Georges Laval, Benoît Lahaye, Vouette & Sorbée, Emmanuel Brochet, and others. Raj Vaidya, who became the head sommelier at Daniel in New York City in 2009, was an early ambassador for the new-wave growers. So were other New York sommeliers—Aldo Sohm at Le Bernardin, Dustin Wilson at Eleven Madison Park, and Thomas Pastuszak at The NoMad. 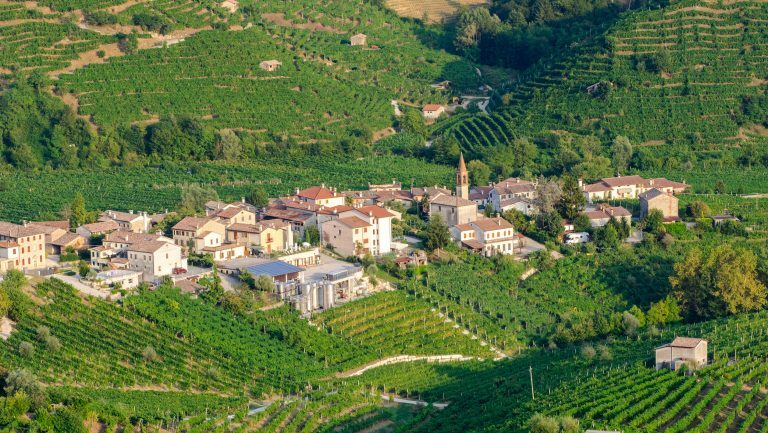 Jeff Kellogg, who took over the wine list at Danny Meyer’s flagship Italian restaurant, Maialino, in 2012, remembers the first few years of the current decade as a tipping point for these wines. “I like selling wine,” he explains. “And people were coming in looking for these growers—so it was driving wine sales and helping me and the restaurant make more money. People who come in for these types of wines are the people you want coming into your restaurant—they’re coming in for older Barolos and they’re willing to spend more money on food. And with Champagne, especially, that’s where the value was. Kellogg wasn’t alone, of course. In 2013, Patrick Cappiello—who ran the wine program at Veritas during the economic boom—opened Pearl & Ash on the Bowery, where he routinely sabered grower Champagne at the bar. That same year, Robert Bohr, who ran the epic wine program at Cru, opened Charlie Bird in SoHo. In 2014, Jack Mason, a Champagne fanatic, launched the wine program at Marta, another Italian spot in Danny Meyer’s empire. All three lists were packed with new-wave growers—and gentle with their markups. This encouraged New York City’s enophiles to drink adventurously. These sommeliers were motivated by more than just money, of course. The excitement about new growers was electric. For a time, every dispatch from Peter Liem was studied with great reverence. Champagne-focused reviews from Antonio Galloni and columns by Eric Asimov were examined carefully. Each new producer gave the city’s leading sommeliers something new to look for and talk about. Theise’s portfolio is still going strong—it still seems as if the appetite for Pierre Péters and Vilmart is insatiable—but tastes have certainly broadened. Also, several of Theise’s producers adjusted their practices over time. When Alexandre Chartogne took control of his family’s estate, Chartogne-Taillet, in 2006, he brought along many of the practices he’d learned under Anselme Selosse’s tutelage. Today, Chartogne ferments each parcel separately and relies on native yeast for primary fermentation. Similarly, the Gimonnets, who have been making wines in the Côte des Blancs since the 1930s, produced a trio of offerings in 2012 intended to showcase the distinct terroirs of their top parcels. Interest in single-expression Champagne can’t be explained solely by the wine cognoscenti’s embrace of lower-intervention wines. After all, Champagne is as much about process as it is terroir. Virtually every popular grower can wax poetic about his hands-off approach to winemaking, but it’s impossible to remove the human element from Champagne production. Vignerons must make decisions about catalyzing secondary fermentation, the time and frequency of disgorgement, and whether or not to sweeten their wines. Like port, sherry, and many other classic wines, Champagne depends on human intervention. Terry Theise believes there are two “big meta reasons” that interest in these wines has exploded. The shift is certainly helpful for the region. Already, the rising popularity of growers—and their commitment to nature—has had an impact across Champagne. Soil conservation is just one example. While many vineyards remain polluted with fertilizers and pesticides that have been used for decades, Champagne’s soils, overall, are healthier than they’ve been in generations. Many younger growers, even the ones who continue to sell grapes, are insisting on more environmentally sound approaches to vineyard management. Of course, the overwhelming majority of Champagne’s grapes are still purchased by the region’s large négociants, but even they’re beginning to insist on sustainable viticulture from their contract growers. Data shows that Champagne is moving to organic farming faster than any other area in France. Consider Jacquesson. 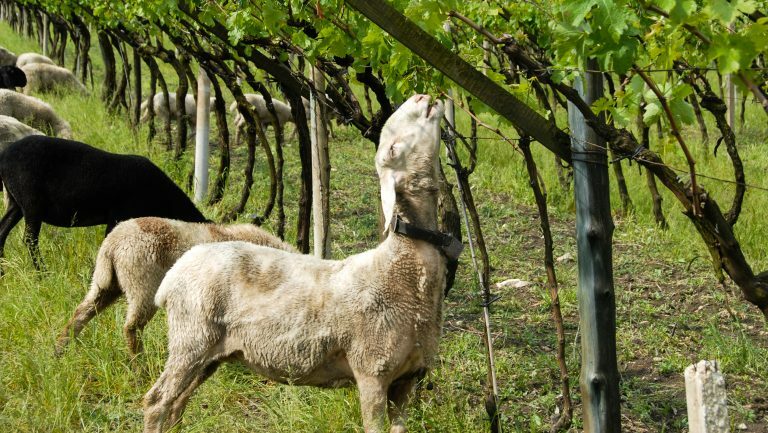 In its own vineyards, which supply about 80 percent of its fruit, and in the vineyards from which it sources, the domaine limits the use of fertilizers and relies mostly on organic treatments for pest control. Similarly, since 2015, Philipponnat has offered bonuses to growers who can document sustainable vineyard practices. Louis Roederer, one of Champagne’s most famous négociants, owns enough land to supply fruit for nearly 70 percent of its production. About 30 percent of this acreage is farmed biodynamically, with much of the rest farmed organically. Most parcels are vinified individually. As négociants act more like growers, some growers are actually becoming négociants. In 2013, Raphaël and Vincent Bérêche launched a separate brand to produce Champagne from purchased grapes. 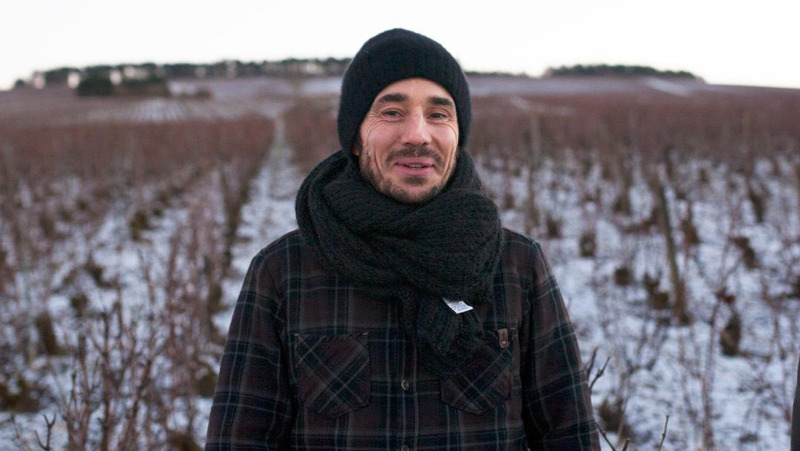 And Emmanuel Lassaigne recently registered as a négociant to supplement his production with fruit from neighboring vineyards where he exercises total control. Of course, single-expression Champagnes aren’t exactly new. The region has always had vignerons who believed that Champagne could be a wine of terroir. Plenty of consumers, too, have long known that the region’s greatest offerings can translate time and place. At the turn of the 20th century, for example, Eugène-Aimé Salon sought to prove that the best Champagne would be singular, coming from a single village, a single grape variety, and a single vintage. In 1935, Pierre Philipponnat took this concept a step further by making a vintage-declared wine from his Clos des Goisses vineyard. Other producers followed. In 1951 the Cattiers, who are best known today for producing Armand de Brignac, started producing Clos du Moulin, a single-parcel, multivintage wine. Krug began producing a single-vineyard, single-vintage blanc de blancs in 1979 and a single-vineyard, single-vintage blanc de noirs in 1995. So perhaps the origin story of single-expression Champagne isn’t that messy. Perhaps it all started with Salon back in the early 1900s. It just took the rest of us a while to catch on. David White is the author of But First, Champagne: A Modern Guide to the World’s Favorite Wine, as well as the founder and editor of Terroirist.com. His writing has appeared in dozens of publications, including the World of Fine Wine, the New York Times, the Los Angeles Times, and the Washington Post.